Harsimranjit Brar, 26, has an unforgettable childhood memory of his family’s fields in Fatuhi Khera, a village in Punjab’s Sri Muktsar Sahib district. Just before harvest, it would be a sea of white fluff. Brar’s father, a seasoned farmer, used to cultivate cotton on a 40-acre plot every kharif (monsoon) season. 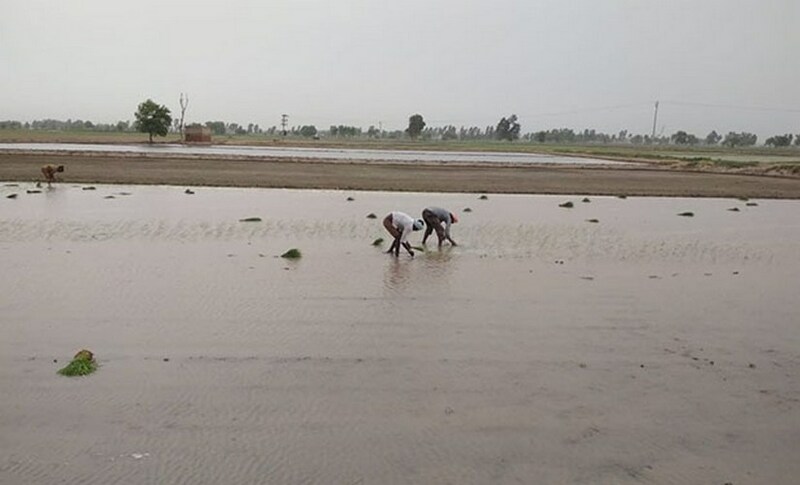 All that changed after a deluge in 2009 submerged their land under 4-5 feet of water, wiping out their cotton crop, recalled Brar, now an inspector with the Punjab Agro Foodgrains Corporation Limited. Three days of rain damaged the cotton crop in 60-70 villages of the around 238 villages in the district. It took months for the standing water to percolate into the saturated ground. “The damage to our land was so substantial that it washed out the possibility of growing any crops in 2010,” he said. To avoid a repeat of the disaster, in 2011, Brar’s father and elder brother decided to grow paddy–parmal, as it is called in Punjab–on 9 acres of their land because paddy can withstand water-logging. The family has now switched to paddy on 38 of 40 acres. In the district itself, 75 percent of the acreage dedicated to cotton is now used for paddy, Brar reckoned. The farmers of Sri Muktsar district chose to play it safe; elsewhere farmers might choose to deal with climate change differently. 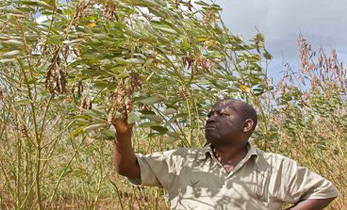 In semi-arid regions, for example, “farmers adopt more risky cash crops such as cotton instead of more resilient dryland cereals or pulses, in the anticipation of higher returns but at a very high risk of failure”, said Anthony Whitbread, a research programme director at the International Crops Research Institute for the Semi-Arid Tropics (ICRISAT). 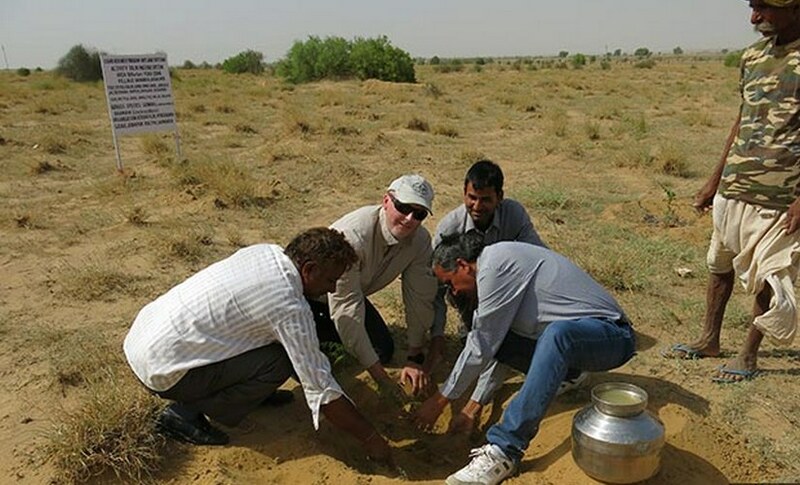 To withstand climate change, farmers need adequate support by way of know-how and practical assistance for adoption of drought- or heat-tolerant crop varieties (cultivars), soil and water conservation technologies, said Anthony Whitbread, a research programme director at ICRISAT. For instance, this 2010 ICRISAT study examined a change in the cropping pattern in Andhra Pradesh and Maharashtra–from cereal crops (except maize) to pulses and other cash crops such as sugarcane and cotton. India is one of the world’s most vulnerable regions to climate change. It has increased the frequency of downpours as well as the gaps between rainy days during the monsoon, as IndiaSpend reported in January 2018 and February 2018. Extreme rainfall shocks could reduce farmer incomes in the kharif and rabi seasons by 13.7 percent and 5.5 percent, according to the Economic Survey, 2017-18. 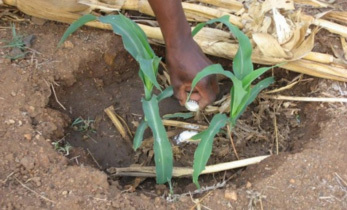 To reduce the impact of these shocks and to double farmer incomes, as the government wants to, the following are vital, according to Whitbread: “adequate support by way of know-how and practical assistance for adoption of drought- or heat-tolerant crop varieties (cultivars), soil and water conservation technologies, changing sowing dates and so on”. 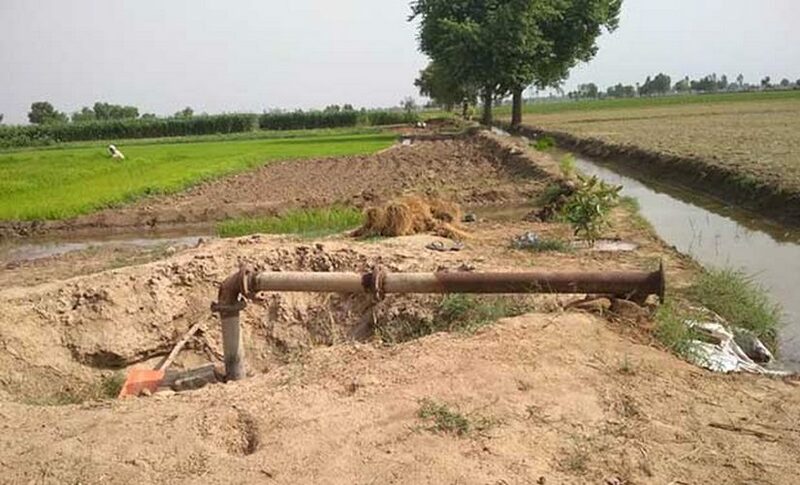 In Punjab, 97 percent of the agricultural land is irrigated while in Madhya Pradesh, this percentage stands at 40 percent, leaving farmers more vulnerable to fluctuations in the monsoon. Despite this, farmers in both states have felt the effect of climate change. 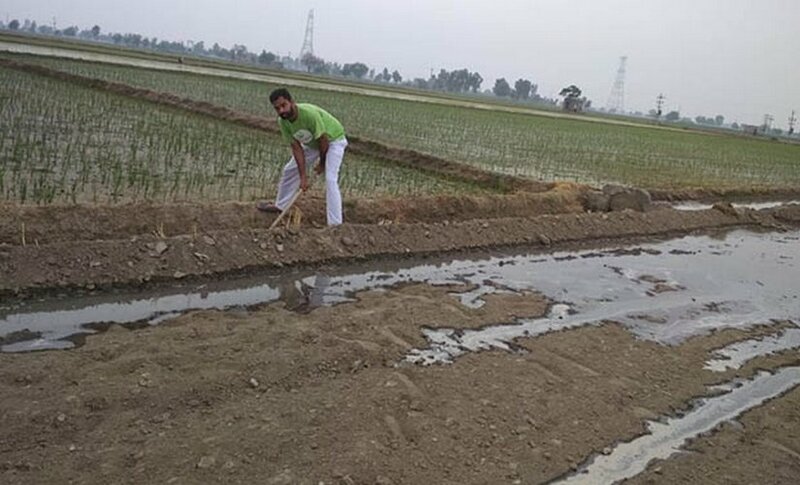 Over three-quarters of the 150 paddy farmers in Punjab were sure that climate patterns have changed, Brar found in a 2016 survey he conducted for his Master of Science (MSc) degree in five districts–Hoshiarpur, Shahid Bhagat Singh Nagar, Ludhiana, Faridkot and Sri Muktsar Sahib. This covered the the north-east, south-west and central parts of the state. One in five farmers in the study was somewhat sure that climate change had happened. However, they differed on how it manifested. Eight in 10 farmers believed climate change had raised temperatures, seven thought the rainfall pattern had changed, four felt a rise in air pollution, nearly four perceived a fluctuation in the hours of sunshine, two thought droughts had become more frequent and less than one believed that floods occurred too frequently. A couple of these observations match scientists’ predictions for climate change in the coming decades, as we will see in the following sections. Between now and 2050, India is likely to see an increase in the baseline mean, minimum, as well as maximum temperatures and these, could have a warming effect that could raise sea levels, said Whitbread. By the 2050s, some regions of India are likely to see more rainfall, in contrast to the African continent that is getting drier, he added. These predictions are based on 20 general circulation models, climate models simulating the future change in precipitation and temperature around the world. The highest increase in rainfall by 2050 is predicted in the arid western parts of India while the south and parts of the Gangetic plain bordering Nepal may see moderate increases. Jabalpur district in Madhya Pradesh has the largest area of rainfed agricultural land in the state–235,058 hectares. In its Shahpura block, where 45,274 hectares of the land is rainfed, seven in 10 farmers listed the lack of knowledge about ways to mitigate the effects of climate change as their biggest challenge, in a 2015 survey conducted by Amrita Singh, a student of Jawaharlal Nehru Krishi Vishwa Vidyalaya, Jabalpur, for her MSc degree. All the farmers featured in the survey were aware that they should delay the sowing of the kharif crop because monsoon now tends to start late. About eight in 10 had some idea of measures such as ensuring adequate drainage and avoiding the use of fertiliser during heavy rainfall to avoid nutrients leaching into groundwater. Six in 10 farmers were aware that selecting a suitable cropping pattern could help deal with the current vagaries of nature. While farmers in Shahpura acknowledged that government and non-government bodies were holding agricultural extension activities to equip farmers with information about dealing with climate change, more than half complained about the non-availability of information in local languages. This plea for information is universal. Brar is of the opinion that technical know-how is sparse and what is being shared is not customised. “Drafting an advisory for a state or large region ignores the fact that the characteristics of land differ from area to area,” he said. “We need to strengthen the agro advisories covering market information and other know-how being circulated to farmers,” agreed Anil Sharma, assistant director (TV and radio) of the Centre for Communication & International Linkages, Punjab Agricultural University, Ludhiana. He suggested the use of the internet to disseminate the advisories because rural Punjab is net-savvy. Left to their own resources to adapt to climate change, nine in 10 paddy farmers Brar surveyed in Punjab had switched to growing shorter duration varieties of crops while eight were relying on the weather forecast–these are two of the most popular measures. Less than one in 10 farmers had opted to change their cropping pattern, a potential outcome of climate change with drastic implications. If farmers switch en masse from a food crop to a cash crop, the quantity and variety of food available to the country would be adversely impacted. More than half the respondents wanted the government to develop crop varieties that are insect- and disease-resistant; close to half wanted varieties that are resistant to waterlogging and almost a third wanted varieties that could cope with temperature variations and water stress. Indian scientists have developed drought- and heat-tolerant varieties of certain crops but farmers don’t seem to be aware of all that is available. In 2016, the Odisha State Seed Certification Limited procured about 54 tons of the ICGV 91114 from the seed-producing farmers in four districts to distribute to other farmers in the subsequent season. Andhra Pradesh and Karnataka also produce the ICGV 91114 seed for distribution to farmers. But this is still little considering that the top five groundnut producing states in 2015-16 were Gujarat, Rajasthan, Tamil Nadu, Andhra Pradesh and Karnataka. 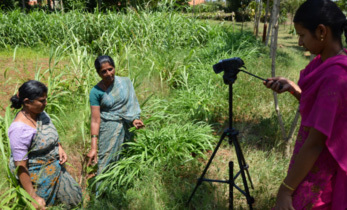 “Apart from low awareness, diffusion of our new technologies in farmers’ field is slow because of the non-availability of seeds in the market,” Swamikannu Nedumaran, a senior scientist with ICRISAT told IndiaSpend. 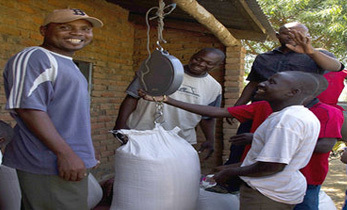 He believes that this is due to the limited attention paid to developing and distributing seeds for dryland crops and promoting them through price support. Dryland crops are a traditional source of income for thousands of small farmers in rainfed regions. 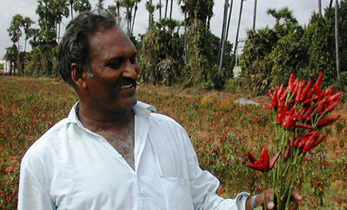 “There is much more focus across the country on the major food crops such as paddy, wheat and maize,” said Nedumaran. In Madhya Pradesh, soybean covers 45 percent of the state’s total cropped area during the monsoon. This was the case in Raisen and Hoshangabad districts too, till a few years ago. 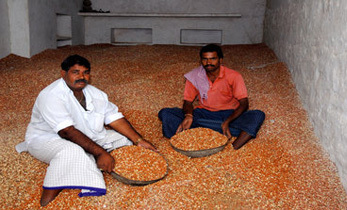 Of late, frequent and heavy monsoon rains in the two low-lying districts have caused crop failures and prompted a shift from soybean and pulses to paddy, said Nalin Khare, professor and head, Agricultural Extension, Jawaharlal Nehru Krishi Vishwa Vidyalaya, Jabalpur. “Water stagnation from unpredictable rainfall affects soybean more than paddy,” he said. Soybean became a favourite crop of farmers “mainly because of [its] short duration (90-105 days) with high net return”, reads the 2015-16 Annual Report of the directorate of pulses development, Bhopal, a body under the ministry of agriculture and farmers welfare. However, the report tells us that “soybean production was more drastically declined during kharif 2015 due to excess rains at vegetative phase [the period of growth between germination and flowering], long dry spell at seed filling stage [when the seed develops in the pod] and infestation of yellow mosaic virus [a viral disease affecting plants] and other insect pest”. In certain districts, the soybean crop loss in 2015 was 60-70 percent. During agricultural extension activities in Madhya Pradesh, farmers have been taught how to use the ridge and furrow method and raised bed system to protect the soybean crop from heavy rain, Purushottam Sharma, a senior scientist (Agricultural Economics) with the Indian Institute of Soybean Research, Indore, told IndiaSpend. The state government is trying to make available the required tools for this system through professionally-run hiring centres established for the purpose. “But as the reach of these hiring centres is limited, far-flung farmers are still deprived, keeping the adoption of these protective methods low,” he said. Brar is grateful for the government subsidies farmers in Sri Muktsar Sahib received a few years ago to bore tubewells. “A tubewell priced at Rs 100,000 to install cost us only Rs 9,000,” he said. However, he acknowledged that this benefit has not been extended to all the needy farmers, many of who cannot afford electricity. Globally, climate change has already extended the growing season in some middle and higher latitude areas that were earlier too cold for the cultivation of most crops, such as the northern precincts of Russia, according to this 2013 study published in the journal Economics. In contrast, Southern Russia, one of the world’s breadbaskets, would suffer a decline in wheat yield as the climate becomes drier, it predicted. Russia’s bumper wheat harvest in recent years is partly attributable to record temperatures boosting yields, this April 2018 Bloomberg report noted. In India, while agriculture in parts of the country might benefit from the 5 percent to 20 percent increase in rainfall expected by the 2050s, the adverse effect of rising temperatures across the country and the mixed effect of rising atmospheric concentrations of carbon dioxide would also need to be factored into future plans. The combined impact of precipitation, temperature and carbon dioxide will depend on the crop variety grown, crop management practices and location, said Nedumaran. ICRISAT crop simulation models of the impact of climate change suggest that maize, sorghum and groundnut yields may increase due to higher rainfall, but rising temperature will decrease the yield of crops, especially rabi (cool) season crops such as chickpea, particularly in south India. Gram, soybean, onion and castor could benefit from the higher atmospheric concentrations of carbon dioxide, while rice, wheat, maize and sorghum could see a decline in yield, according to a recent modelling study.